Eco Cleaning Services, Inc. specialises in custodial and janitorial services for a wide range of educational settings, from Day Care and Child Care centers to Elementary, Middle and High Schools; and from Vocational institutions, to Universities, Colleges and a whole list of other educational premises. With our dedicated focus on creating a clean and safe workplace for faculty and staff; and our renowned expertise for providing a healthy and thriving learning environment for kids, Eco Cleaning Services, Inc. has become the “go to” janitorial and custodial services provider for major educational institutions across our service area. Rigorous cleaning is the key to creating a healthy and safe environment. But when it comes to keeping Child Care centers and other educational facilities clean and safe, there’s an extra bit of diligence that must be applied. With so many children and young adults interacting with their environment and each other continually, every day, regular daily sanitization and cleaning helps decrease the rapid spread of infectious germs and contagious viruses. As a contracted cleaning services provider of repute, Eco Cleaning Services, Inc. takes its responsibilities extremely seriously. We place the highest priority on delivering learning environments that are environmentally-safe, free from infectious bacteria and sanitized of harmful germs. And where possible, we do this through the use of environmentally-friendly chemicals, eco-safe cleaning materials, and green cleaning processes and techniques. Our staff continuously receives training on the most current methods to clean and sanitise environments, such as educational settings, so that the risk of contagion and the spread of harmful germs and bacteria is minimised. We’ll ensure that each morning kicks off in a safe and healthy manner – from classrooms to hallways; from rest rooms to the cafeteria, and from whiteboards, desktops and benches to locker rooms and libraries – nothing misses our attention! Day Care centres and schools have a number of student “high-touch” hot spots, like doorknobs, desktops and chairs, which require special antiseptic sanitization to purge them from bacteria and germs. While cotton fabric, cleaning cloth and disposable paper towels may work in less sensitive areas, Microfiber cleaning cloths do a far superior job of removing germs and bacteria. They remove 99% of unwanted dust and dirt from high-touch surfaces, making them safer for students to interact with. 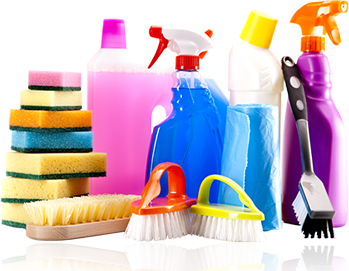 We strive to offer packaged customised cleaning services for each of our customers. Contact US today, or schedule a Custodial Service Quote using our handy online quote form. By providing us just the bare minimal details about your premises, your concerns and your expectations, our experts will schedule a walk thru of your facility to discuss possible solutions and provide you a personalized quotation for our services. Here at Eco Cleaning Services, Inc., customer service is at the heart of everything that we do. We strive to deliver high-quality services to our valued customers on a continual basis. If you want “clean” that means “really clean”, then you need to call Eco Cleaning Services, Inc. now! We’ll put together a highly personalized and extremely economical custodial program that’s right for your educational institution’s maintenance and cleaning needs. Reach out to Eco Cleaning Services, Inc. today at (416) 871-0905 and create a clean and healthy learning environment.